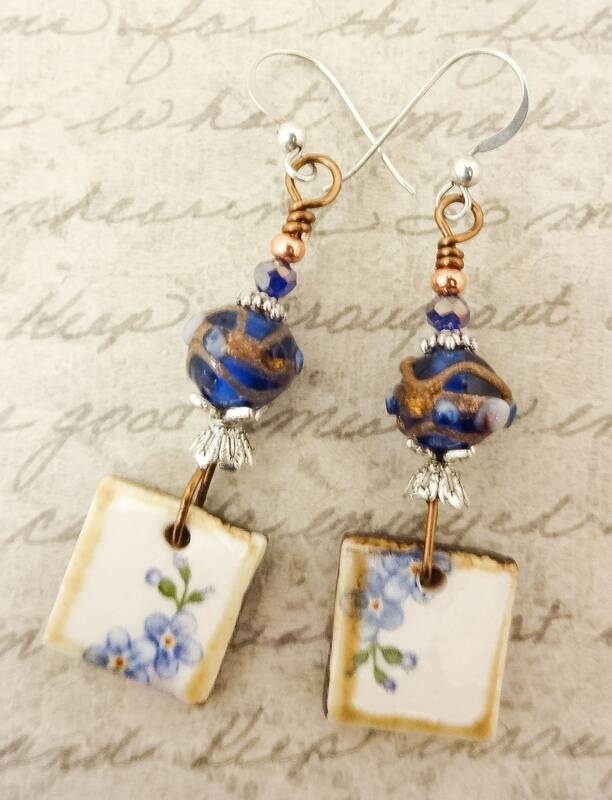 Sweet little ceramic charms dangle from a Blue Lampwork bead. 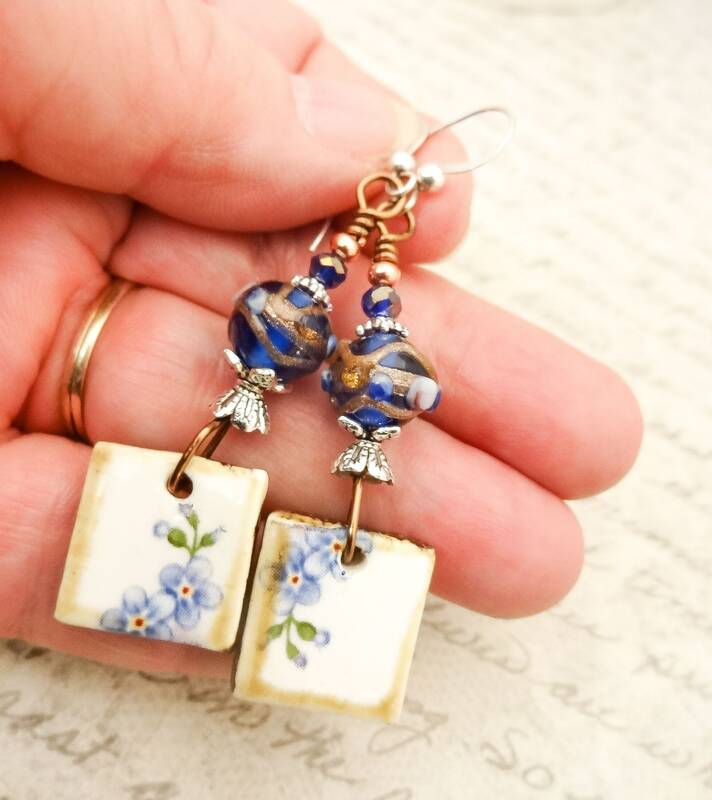 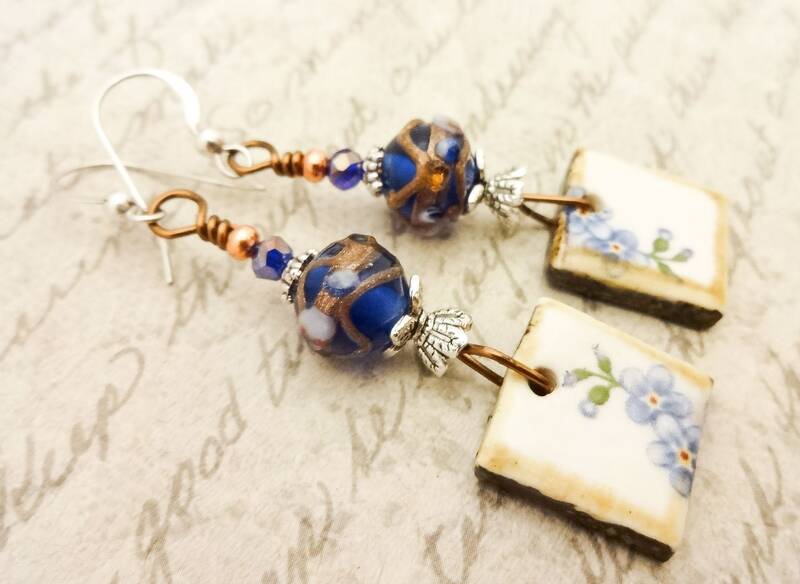 The charms were made by an Etsy artisan from Port William, Scotland, and feature blue flowers and green leaves. 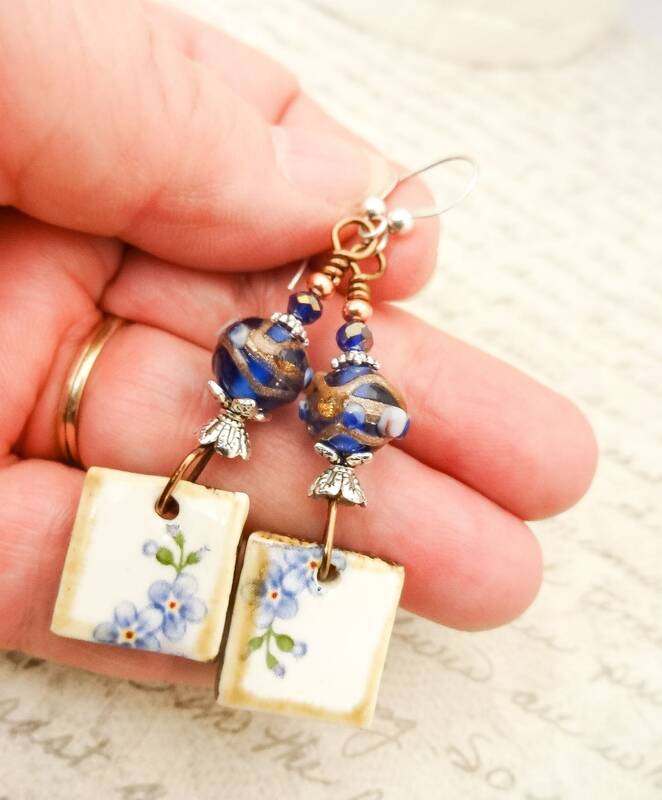 I paired the charms with dark blue lampwork glass beads with silver floral beadcaps at each end. 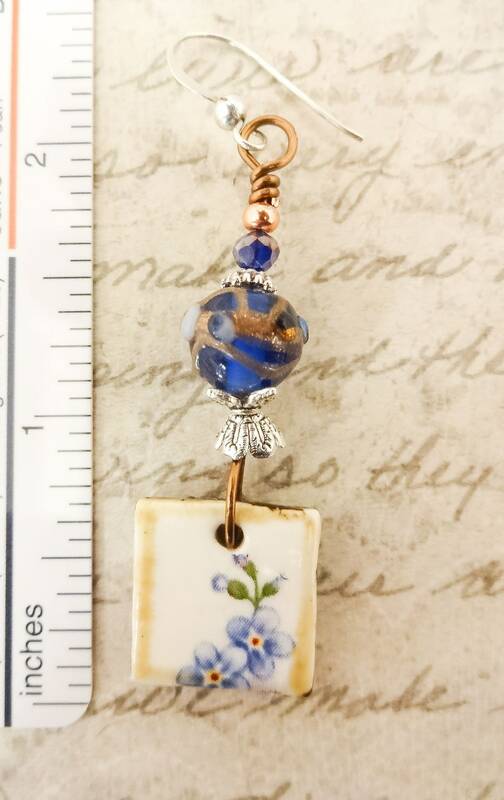 A shiny copy spacer bead and faceted blue glass beads sit on top of the 10mm glass bead. 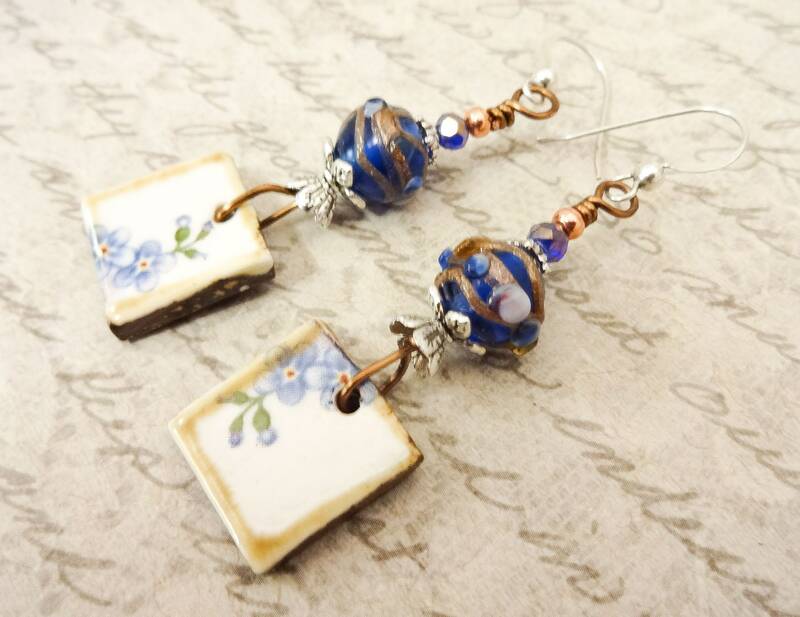 The beads are strung on dark antique copper wire. 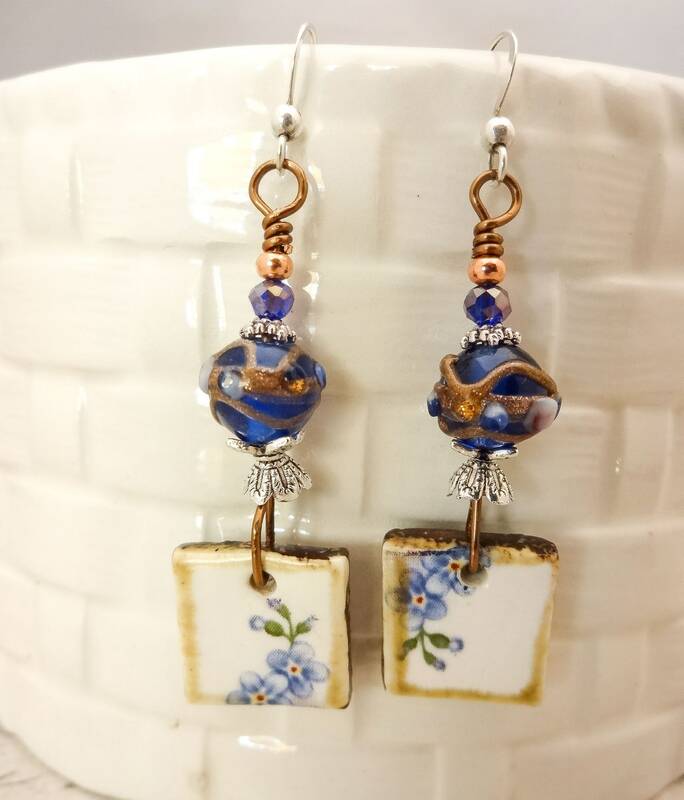 The earrings are shown with Sterling Silver French Hook ear wires. 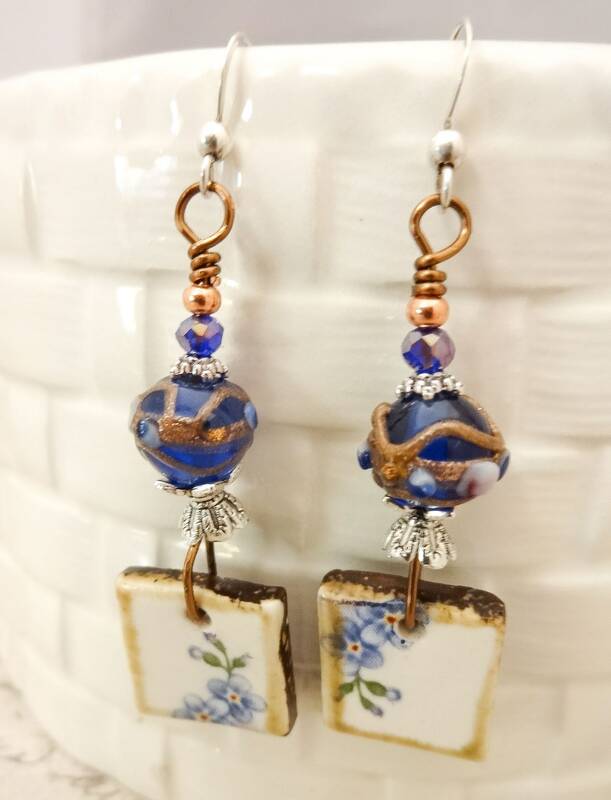 I have other types of ear wires if you prefer a leverback style or post, and I also have other metals - 14k Gold Fill, Copper, Brass or Surgical Steel. 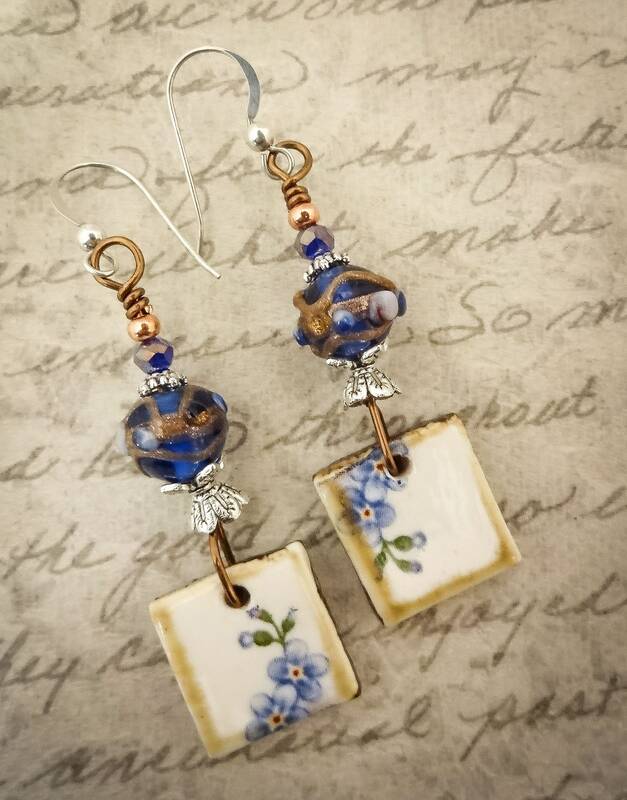 Just send me a message and I can change out the ear wires for no additional cost. 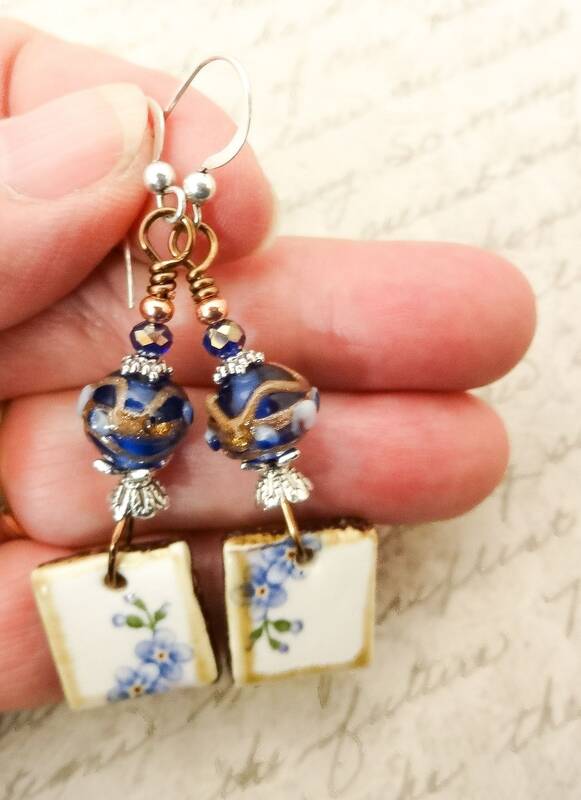 These earrings measure 2.25 inches from the top of the ear wires to the bottom of the charms.